I have never started a poem yet whose end I knew. Writing a poem is discovering. 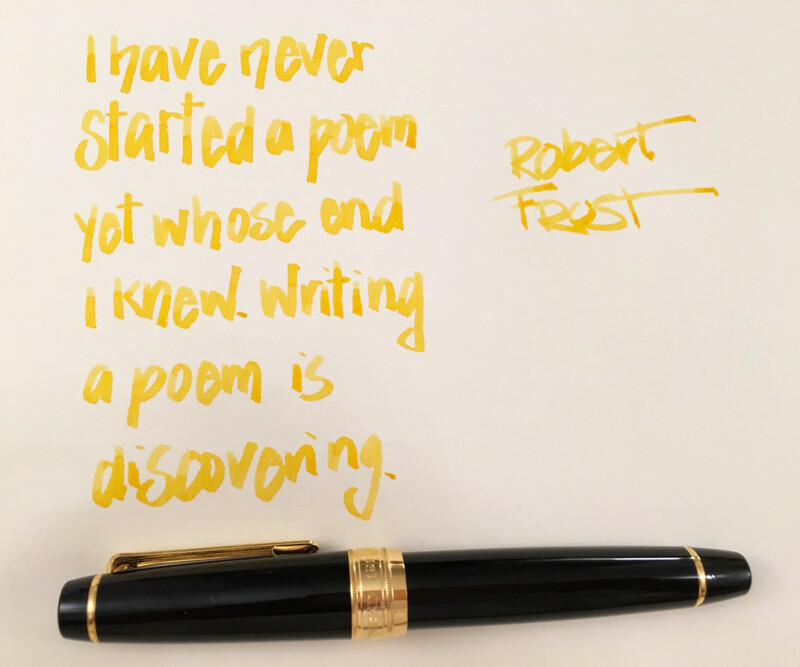 – Robert Frost I’m not a writer but sometimes I just ink up twenty fountain pens and scribble words down, because I love the feeling of the nib on paper, of the smooth feeling of ink flowing, and then seeing all the colors at the end.